Director/Producer – Fritz Lang, Screenplay – Silvia Richards, Story – Rufus King, Photography (b&w) – Stanley Cortez, Music – Miklos Rozsa, Makeup – Bud Westmore, Production Design – Max Parker. Production Company – Diana. It is the day of Celia Barrett’s marriage to Mark Lamphere and she begins to have sudden last minute doubts, realising that she knows hardly anything about him. She recalls how on a holiday in Mexico she met the handsome and mysterious Mark after they were witnesses to a knife fight in the marketplace. They were attracted and on impulse she agreed to marry him. She now goes through with the marriage ceremony but immediately after comes to wonder if she has not made a mistake. She finds that Mark has a great many secrets. She becomes concerned when she finds that in his home he keeps rooms that recreate the scenes of famous murders. The mysterious seventh room is kept locked and may have been where he murdered his first wife. Celia fears that Mark now intends to kill her for her inheritance money. Director Fritz Lang was one of the most famous names during Germany’s legendary silent era. Emerging at Ufa, Lang directed classics of German Expressionism such as The Spiders (1919), Dr Mabuse, The Gambler (1922), Siegfried (1924), Metropolis (1927), Spies (1928), Woman in the Moon (1929) and The Testament of Dr Mabuse (1933). These show Lang’s extraordinary hand with the fantastic, in his use of extravagantly stylised sets and the marshalling of crowds and spectacle. Lang fled Germany in 1933 with the rise of the Nazis and found a welcoming home in Hollywood where he remained until his death in 1976. During this latter period, Lang concentrated on making a series of spy films and thrillers, including classics like Ministry of Fear (1944), The Woman in the Window (1944), Scarlet Street (1945), Cloak and Dagger (1946), Rancho Notorious (1952), The Big Heat (1953) and While the City Sleeps (1956). The only time Lang returned to fantastical material during this period was with Secret Beyond the Door and his one return to post-War Germany with The 1000 Eyes of Dr. Mabuse (1960). 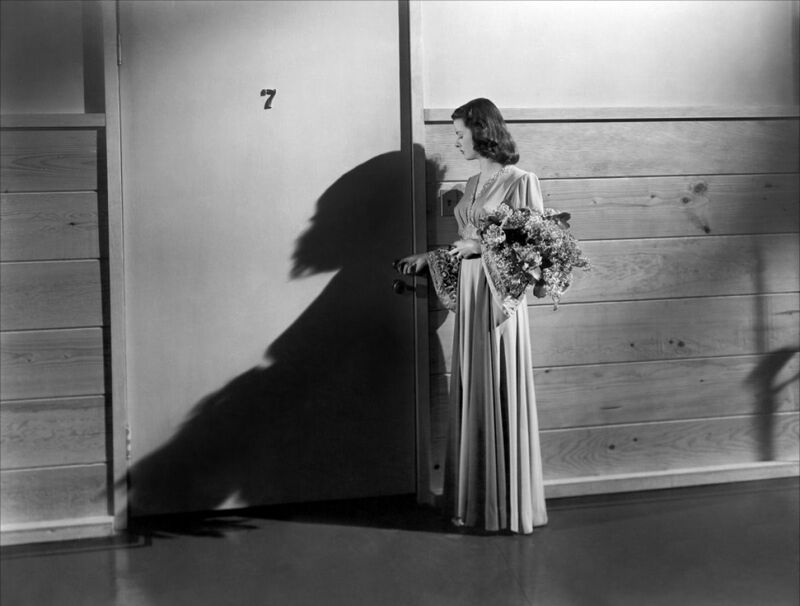 Secret Beyond the Door is one of the thrillers from Fritz Lang’s American period. It is an interesting film. It is a reworking of the fairytale Bluebeard, albeit where the writers has drawn considerable influence from Alfred Hitchcock’s Rebecca (1940). The first twenty minutes of the film are an exceptional evocation of pure noir – a beautifully realised mood of looming darkness and near doom; of exotic settings (not quite covered by the low budget) that speak of racy romances and sadistic voyeurism. Silvia Richards’ script laces the story with undercurrents of then trendy Freudian psychology. The dialogue is incredibly vivid and the film full of haunting, penetrating voice-overs that hold a casual sophistication. Unfortunately, when the film returns to New York and the family mansion, proceedings run downhill. The brooding mood that Lang has piled on in the first half becomes crudely atmospheric – or more to the point, the atmosphere is piled on with such a heavy hand that it drowns everything else out. The gloomy shadow lighting is so intense that the day scenes become indistinguishable from night, while a thunderingly overblown score pounds the whole way through. For all the heavy atmosphere that is piled on, the denouement boils down to little more than a routine mystery drama. The explanation that come here is ludicrous in its psychology, while the film is downright laughable in its happy salvation ending that such a flawless opening is almost forgotten. 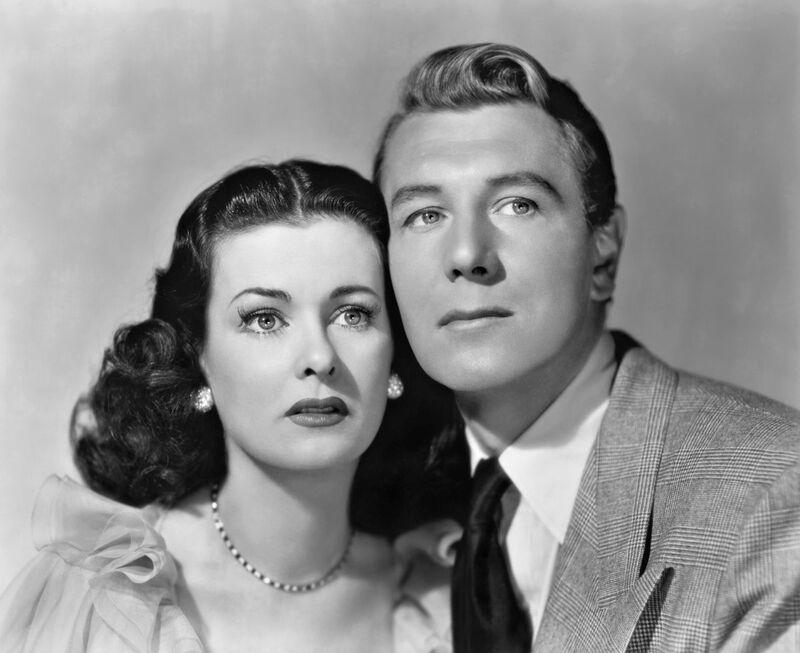 Joan Bennett fills her role well but Michael Redgrave seems wooden, far from the beguilingly mysterious stranger she keeps regarding him as. Fritz Lang’s other genre films include:- Destiny (1921) wherein Death incarnates two lovers throughout various historical periods; Dr Mabuse, The Gambler (1922) concerning a ruthless criminal mastermind; the two-part Niebelungen saga, Siegfried (1924) and Kriemhild’s Revenge (1924), based on the Teutonic myths; Metropolis (1927); Woman in the Moon (1929), a realistic attempt to portray a Moon landing; M (1931), a thriller concerning the hunt for a child killer; The Testament of Dr Mabuse (1933); the afterlife fantasy Liliom (1933); and a further Dr Mabuse sequel The 1000 Eyes of Dr. Mabuse (1960).